With the ever-so popular Sonic Mania out now, I thought I might as well make this thread, now that everyone has gotten accommodated with the game, and it's likely most everyone (excluding PC players) have seen what the game has to offer. So, this is where any and all Sonic Mania discussion is welcomed, and where you guys can compete against each other in a sort of local leaderboard in Time Attack mode. 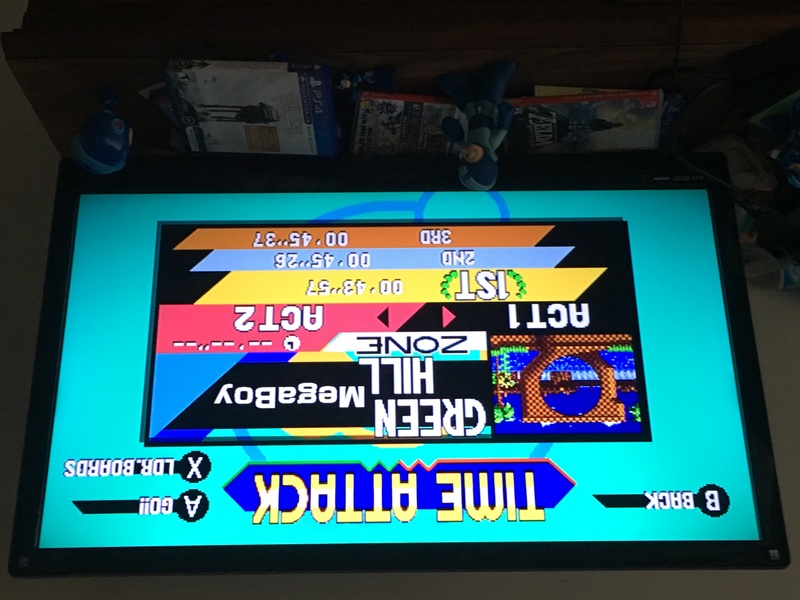 Take a picture of your highest time in Time Attack w/some form of verification that it is indeed your time. Taking a picture from the console (or PC) will work, but if the picture is deemed questionable (Such as having a username in-game that doesn't match up with your username or screen-name on your MMRPG account), a photo of the screen with further identification (A piece of paper with your MMRPG username next to the screen for example) will be required to accept the entry. 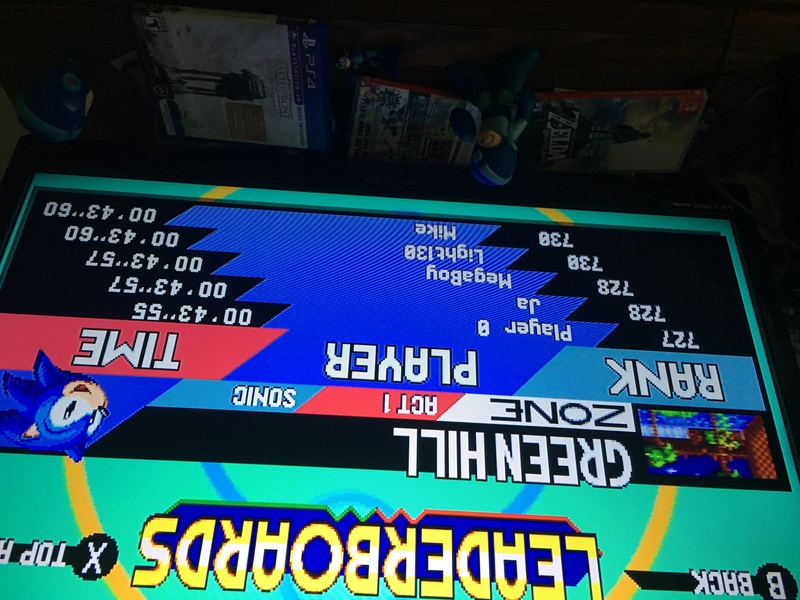 Here are my times from Sonic Green Hill Zone Act 1. >Removed Listings for Mirage Saloon Zone Act 1 for Sonic and Tails, as Time Attack cannot be done for that stage with those two characters.